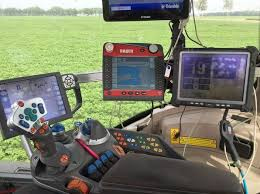 It's been a challenging few years for many precision farming dealers navigating the instability of the commodities market and cautious purchasing habits of customers. But the results of this year's recently published fifth annual Precision Farming Dealer benchmark study - with contributions from 120 farm equipment dealers, input retailers and independent precision companies - signal an optimistic shift in retailers' revenue expectations and business objectives compared to recent years. Talking with dealers during the first part 2017, there seems to be more confidence and less concern about the current ag market. Precision Farming Dealer reports that based on responses gathered during the first quarter of 2017 from 28 different states and Canada, 23% of dealers reported 2016 precision revenue growth of 8% or more, more than doubling their forecast of 10% from last year's report. On the other end of the spectrum, about 8% of dealers reported revenue declines of 8% or more last year, about 3 points lower than forecast during the first quarter of 2016. This also marks the first time since the study began tracking revenue projections 3 years ago that revenue declines of 8% or more were in single digits. So what are retailers anticipating in 2017? Some 59% of all dealers forecast revenue growth of at least 2% this year, with about 15% projecting growth of at least 8%. This is well ahead of the 40% of dealers who forecast revenue growth of at least 2% at the same time last year. Fewer dealers are also anticipating measurable revenue declines in 2017. Only about 11% are forecasting a dip of 2% or more, by far the lowest total in the history of the study. And only about 4% of dealers are projecting revenue decreases of 8% or more. Some 28% of dealers forecast little or no change in their precision revenue year-over-year.